MyMiniFactory have partnered up with petroleum giant Esso Petroleum Company Limited (“Esso”) for a second design challenge, offering the chance to participants to win an incredible CB3 3D printer. After the success of the upcycling-themed challenge Esso is looking for another successful campaign. 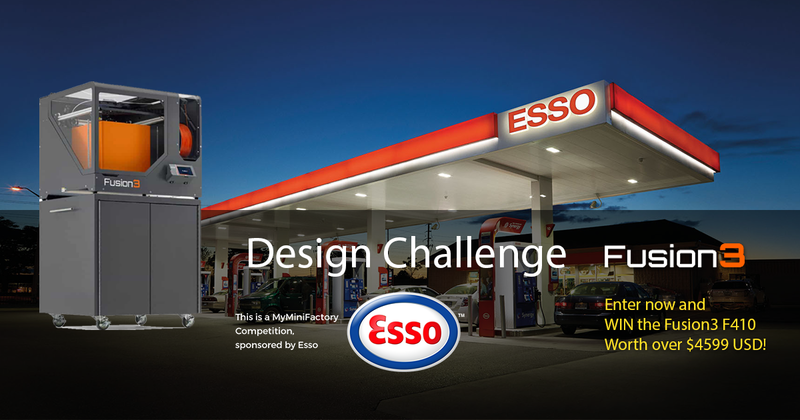 The ESSO and MyMiniFactory 3D Design Challenge. In this design contest, participants must come up with a new design to differentiate the premium fuel pump handle from the standard design, to give premium fuel users a more premium/exclusive experience when refueling their vehicle. Whilst the design you must come up with is limited to the fuel pump handle, you may be creative in innovating or including other elements of the user experience into your concept. Supporting documents explain your thinking, ergonomics, and renders are all encouraged. Think of this as your product innovation pitch to Esso.